The countdown is on for Market! Just three more weeks! 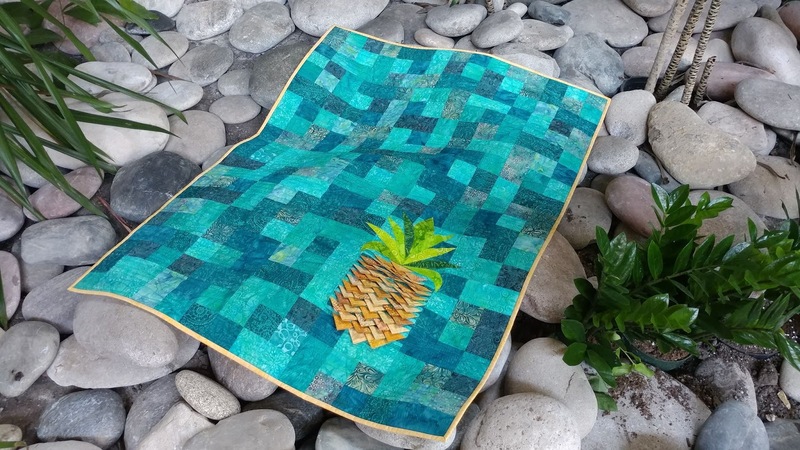 Pineapple Twist is finally available as a stand-alone pattern! Ever since starting Slice of Pi Quilts in 2016, I have wanted to make a quilt using my business logo. But I never had a reason to do it - until now! 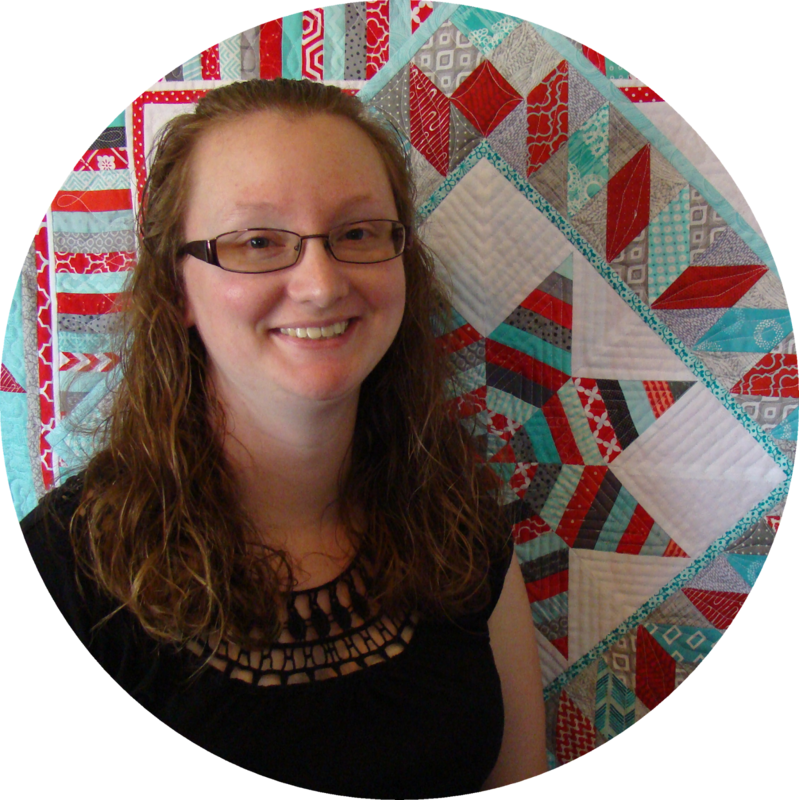 Quilt Market is just four weeks away. This week, I finished the last of my four new patterns (and the quilts!) that I will be releasing at Market, and my husband started building my booth. Then I started on my logo quilt. When my brother was in college, he worked one summer at a restaurant in Gulf Shores, Alabama called The Hangout. 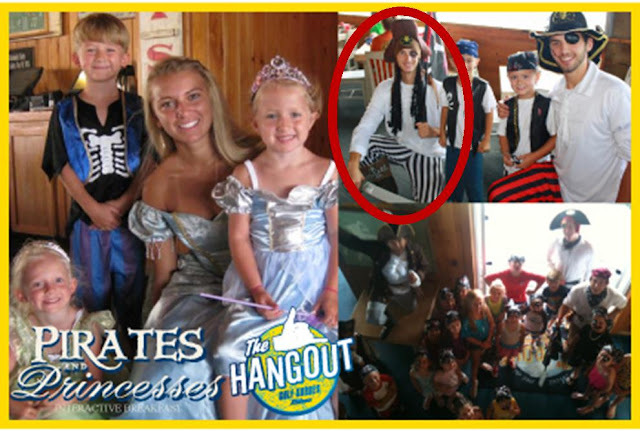 He wasn't just any regular server or cook though, he was a pirate! 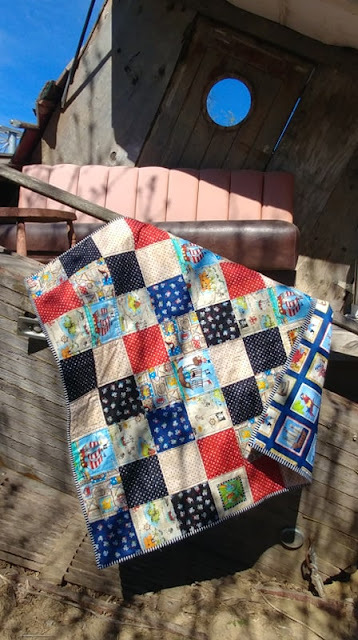 As soon as he and his wife announced they were pregnant with a boy, I knew a pirate quilt would be perfect! I admit, I have been collecting pirate fabrics for several years just in case this day would come. I can't tell you how ecstatic I was when I knew I'd be able to use them! The first 4-H club in our town started in the fall, and we were eager to get our oldest son involved. He's just five, and many others in the club are also quite young. Each month, our club does a different activity to give the kids an experience that might be new to them. We've decorated cupcakes, learned about goats, rabbits, and chickens, and done arts and crafts. 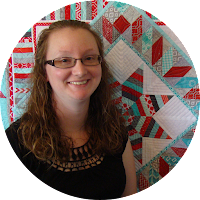 Last month, I was signed up to teach about quilting! At last month's meeting, each 4-Her made one monster block, then I finished the quilt before this month's meeting and documented the whole process in our club's Facebook group so the kids could see what goes on behind the scenes. 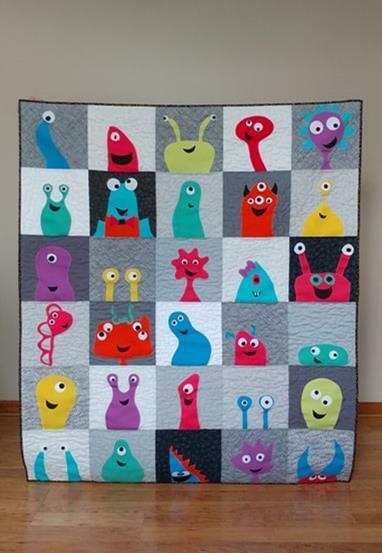 I revealed the quilt to the kids this week at our monthly meeting, and it was quite a hit! When I taught middle school math in Las Vegas, I became good friends with the geography teacher two doors down from my classroom. Seven years later, we both live in Kansas City, we both have three boys, and we both own our own business! It was a no-brainer to collaborate on a Cotton Candy quilt! 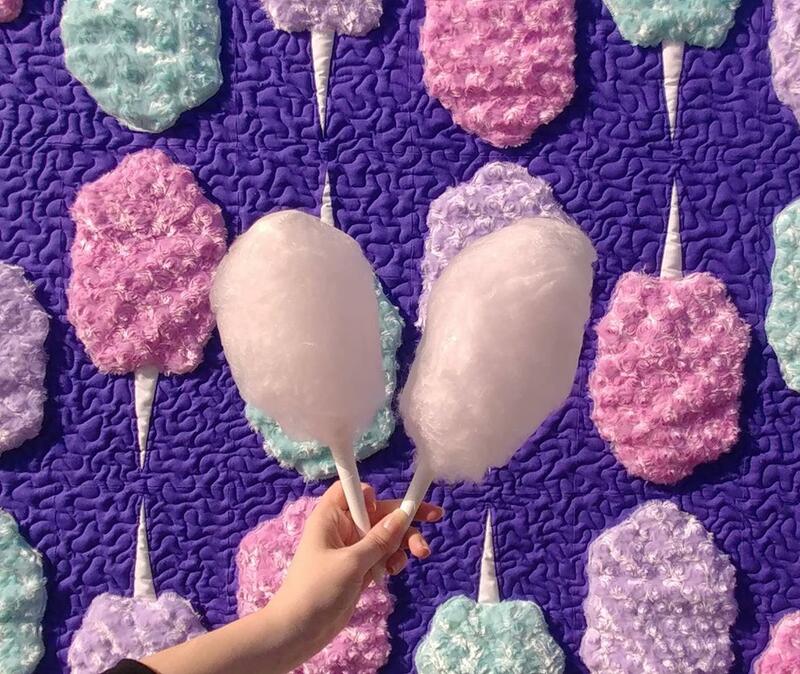 Kiffany owns Cottontale KC which sells organic cotton candy. She has spun sugar for the Chiefs, is regularly on our local news, is in food magazines, and even has her cotton candy served in local restaurants! 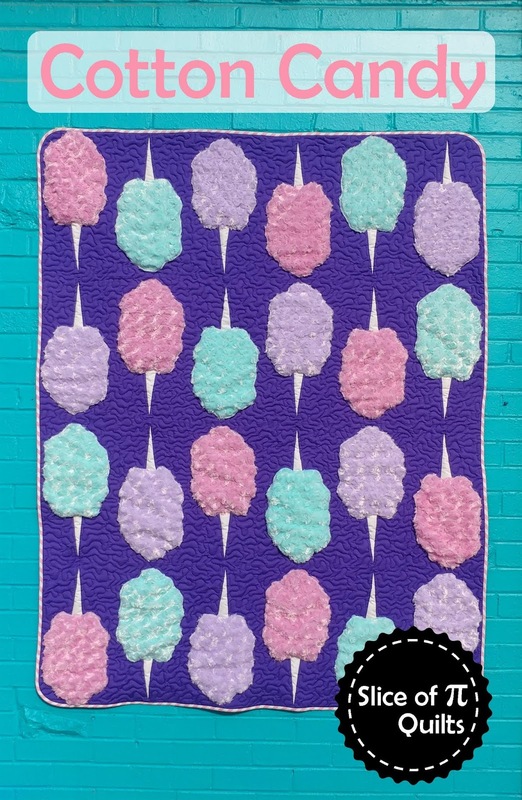 I am knee deep in Quilt Market prep. 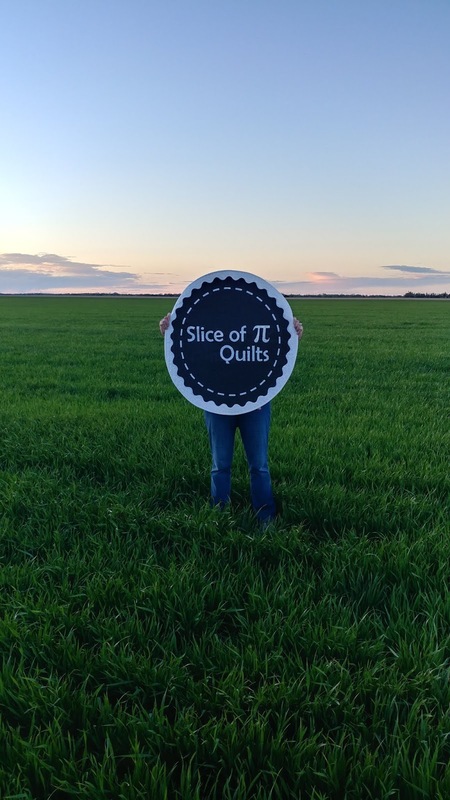 Contracts, logistics, writing new quilt patterns, booth design, quilt making, marketing...the list is a mile long. So March's Island Batik ambassador quilt got squeezed in at the end of the month among a lot of other things! 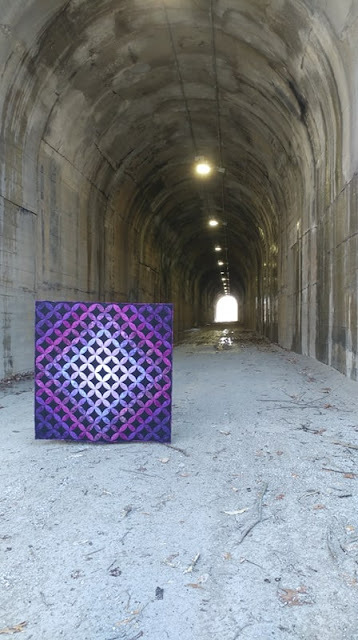 A few months ago, I made the End Game mini quilt with some epic fussy cutting. 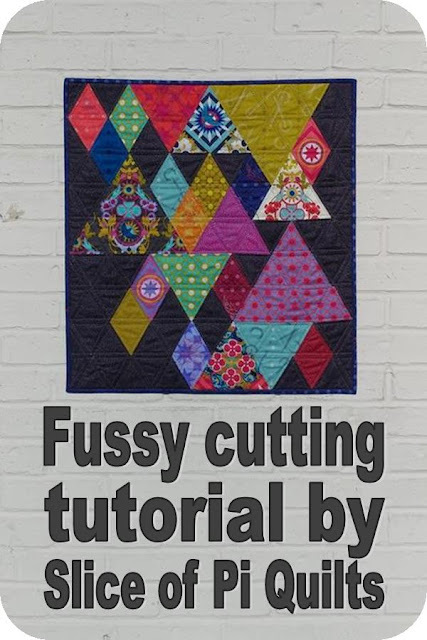 Since then, I've had several requests for a fussy cutting tutorial. So with Jemima's permission, I'm going to share my process with you!